Great house for extended families or several couples! Relax and enjoy unbeatable views all day long. 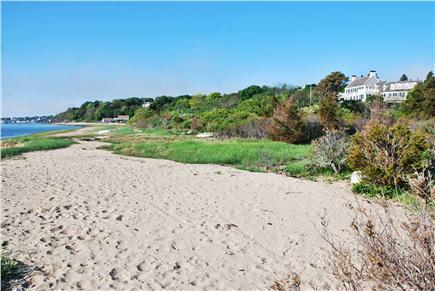 This large beachfront property in exclusive North Chatham boasts 180 degrees of view, view, view. Look south to the fishing fleet and the outlet to the sea; east to Tern Island (a bird sanctuary), North Beach, and the Atlantic; and North to the town landing, Minister's Point, and the new North Beach break. Sip your morning coffee and watch the sunrise, or enjoy your afternoon drink in the fading light, watching the terns and gulls, the fishing boats, or the seals on distant sandbars. Don't miss the views while you're indoors. Our large, bright, updated kitchen with pantry, glassed-in eating porch, formal dining room with fireplace and formal living room with fireplace and grand piano all look east to the sea. 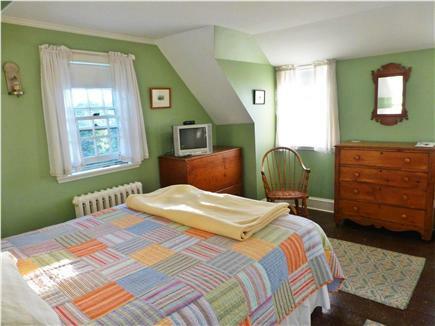 Rooms are traditional Cape-style with comfortable furnishings. View more indoor photos at site listed below. Sleeps 10 adults comfortably, up to 12 maximum (using small cots/beds in dressing rooms for kids),in: two beautiful master bedroom suites with fireplaces, private decks, dressing rooms, and baths; two double rooms with private baths; and two single rooms. This home is a great place for up to four couples or a big family. The house also has a small kitchenette or bar, and a second ''cocktail'' porch with picture windows. Lots of traditional comfort, beauty and charm! Walk to the beach, bring your boats: Bring your own sea kayaks, sailboat or motorboat, or rent boats locally. The property has a private path to its own small beach and is close to a Town Landing. Town allows 2 weeks' anchorage without a mooring, and kayaks or rowboats can be kept at the end of the path on our private beach. Walk and ''tidepool'' on the sandbars at low tide, birdwatch on Tern Island, and sunbathe or swim from the private beach. Take your own or rented boat to explore Chatham Harbor, Pleasant Bay and uncrowded North Beach. Walk to the Fish Pier for your fresh daily catch, then grill dinner in the back yard. Kids can play croquet or Frisbee on the large lawn, roll down the hill, or fly kites. Watch the Chatham lighthouse beam across the night sky. Additional pricing info: $500 cleaning and laundry fee (linens included). $1,000 security deposit. State and local taxes of 12.45% will apply. We spent 5 days in this wonderful home for our first trip to Cape Cod from Scotland. This house is authentic! 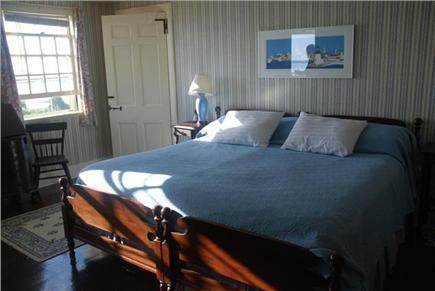 It is tastefully decorated in a style that reflects the seafaring history of the Cape. It is full of antiques, traditional paintwork, plenty of comfy places to relax and nooks and crannies to explore. The beautiful view from the sunny breakfast room in the morning made for a great start to the day. Went on a wee boat trip, saw the fish coming off the boat at the harbour, seals, birds and fresh lobster. Had dinner at the Chatham bars Inn, had no idea places like this existed in the States. Easy to visit other towns on the Cape. Overall a great wee find, will definitely be planning another holiday here though will have to spend longer next time.